Udhayanidhi Stalin is one of the busiest actor in the industry right now. His next two films; Nimir and Ippadai Vellum is at various stages of production. The latter film's audio was recently launched, and was also well received by the public. 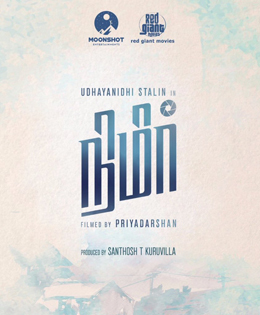 Besides this, Udhay has been committed doing a film under the direction of “Priyadarshan.” The film is the official remake of Maheshinte Prathikaram, a Malayalam film featuring Fahadh Faasil. Now according to reports across media, Udhayanidhi Stalin is speculated to next work with director PS Mithran. Tentantively titled as '7 Kinarugal' (Seven Wells), it is said to be bankrolled by Thenandal Studios Limited, who are the producers of Mersal. Vikram Vedha fame Sharddha Srinath has been approached to play the female lead. In addition, Director PS Mithran will be making his debut into Kollywood with Irumbu Thirai, which stars Vishal, Arjun, Samantha Ruth Prabhu in the lead with Delhi Ganesh, Robo Ganesh and Vincent Ashokan in pivotal roles.